I recently made a trip to my local Costco to buy the necessary bulk supply of toilet paper, fruit, school supplies and more for my family and home. The man at the cash register looked familiar and I realized that he has been working at that same Costco for more than just a few years and he had helped me many times. I also noted that items were fairly priced, even in today’s competitive economy and declining market. When I went to use the restroom, I took a peek into the “Employees” room and found sayings all over the wall seemingly to motivate and inspire the team members as to Costco’s mottos. If we do these four things throughout our organization, then we will realize our ultimate goal, which is to reward our shareholders.” www.thebalance.com “Costco Mission Statement Has the Ethics and Compassion of Its Founders” April 28, 2017. Costco was founded by two men who strongly laid out the ethical values and culture for the wholesale warehouse company. James Brotman was raised in the state of Washington by parents who taught him the core value of helping those in need who couldn’t help themselves. Brotman went to law school and ultimately had his hand in retail businesses. Jim Senegal had 29 years of experience in all aspects of retailing when he and Brotman founded Costco. He had vision from his vast years in the industry and applied this foundation of ethics to a culture that focuses on treating the customer and employee with the utmost respect – leading to annual growth. Senegal was an unusual CEO. A few months before his retirement, he decided to take a pay cut. “Unselfishness: The World’s Most Ethical Company & Why Collaboration Works” seen in www.rohitbhargava.com, May 24, 2012. He was fanatical about Costco’s commitment to the notion that building a successful company would come from passing savings directly to customers. He ensured that the wholesale company only marked up products no more than fifteen percent and limited company’s profits so that the customers benefited most. 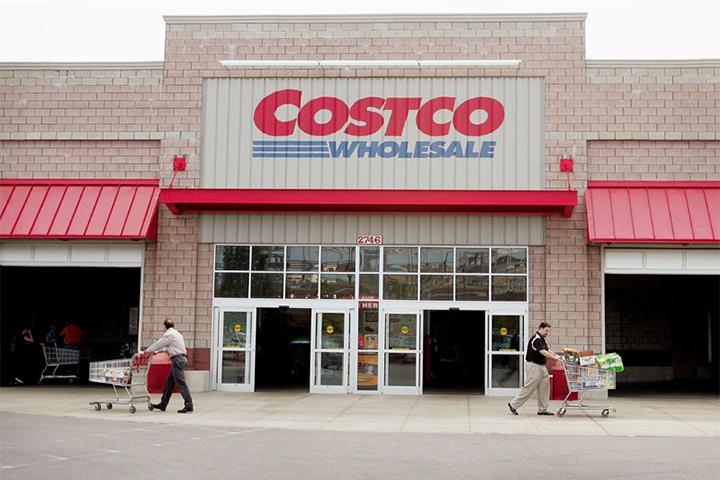 In addition to a true desire to help customers get quality products at discounted prices, Costco is also known as being one of the best employers in the retail sector. Their standard employee rate is $17 per hour that is significantly more than the mandated United States minimum wage. Employees also receive full health and 401(k) benefits and, thus, Costco enjoys very low employee turnover and low theft rates. Costco stands basically alone in its behavior and vision to be loyal to its customers, employees, shareholders…thus leading to sustainable growth and long-term profitability. It was founded on a basic notion of ethics and doing the right thing. It has grown about 15 percent each year since it opened its first retail location in 1983 with over $90 billion each year in revenue. Brotman and Senegal were raised with the belief that all people were inherently good and deserve to be treated as such, and this faith in others flowed down into Costco’s culture. Rashmi Airan‘s mission is to share the need for ethical vigilance and to inspire you to make good ethical choices in all areas of your life. Rashmi is an ethics speaker and consultant fighting to create a culture of conversation and bring ethical issues in business to light, to promote integrity, to enhance commitment to fiduciary duty, to build ethical leadership, and to shift the paradigm of ethics standards through ethics training. Posted by Miami SEO company, The Bart Organization. I’ve always loved Costco… partly because of their prices, but mostly due to their service. Thanks for giving us a glimpse into Costco’s “why”.